Spillways are essential for maintaining and operating a watershed of any size, but when a spillway breaks or begins to degrade, the watershed’s integrity is at risk. That, in turn, can put the surrounding area at risk of flooding or increased erosion. At C.L.H. & Son, Inc., we have repaired spillways all throughout New England. We understand the financial constraints of state or municipal organizations, and we strive to meet and succeed project expectations by leveraging our experience and professional ability. Contact us today for a free evaluation and estimation on dam spillway repair. If you are interested in our dam spillway repair and pipe bursting services, please contact us today. Dedicated to environmental well-being, we take the time to ensure fish passages are maintained and repaired, because culverts and pipes – if left to deteriorate – can hinder fish spawning routes. If you have a dam spillway or pipe in need of repair, we recommend also asking us to inspect it for fish passage integrity. 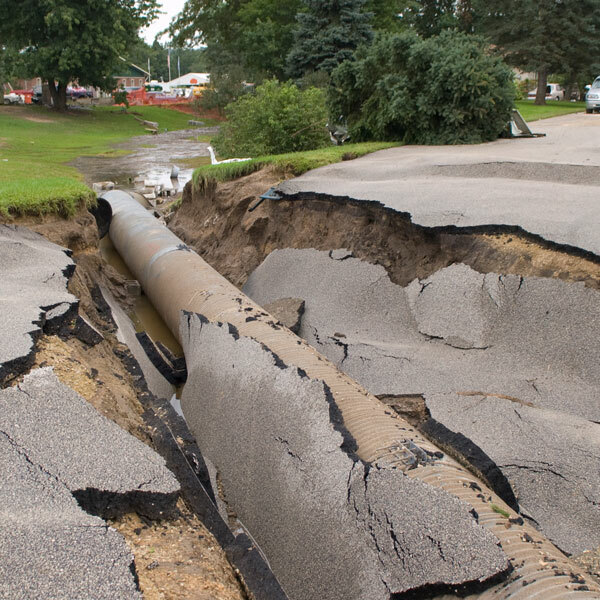 In the worst pipe burst scenario, the pipe may have to be dug up and completely replaced. For these instances we have a fleet of excavation equipment ready to extract the pipe. Don’t let a burst pipe linger too long. Contact us today for a free excavation quote.